Thanksgiving is a special day to celebrate and be with the family. Because it’s such an important event, it’s only right that you prepare everyone’s favorite dishes. Cooking, however, can take a lot of your time, particularly if you don’t have the best cooking tools for the job. As a way to help you enjoy preparing for Thanksgiving, we’ve rounded up the top products you should get this year. 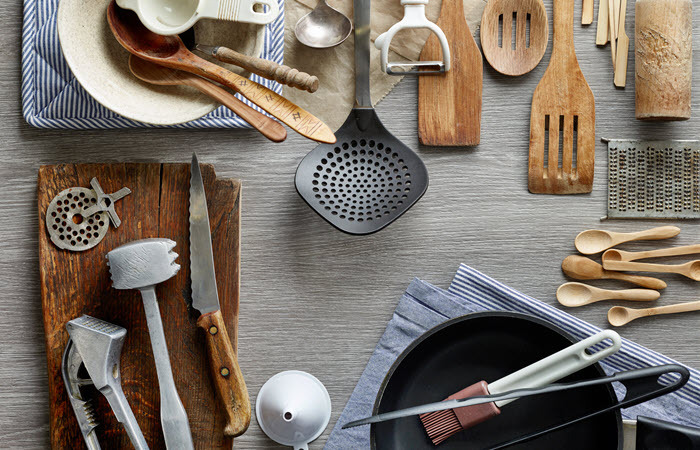 Each product on this list is guaranteed to make your time in the kitchen a lot more enjoyable. 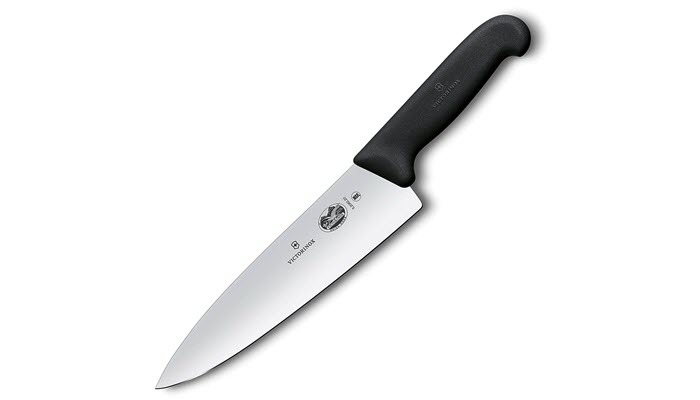 The Victorinox Fibrox Pro Chef’s Knife is a multi-purpose knife you can use for mincing, dicing, slicing, and chopping. It’s made with high-carbon stainless steel blade which means that it’s sharp and durable. Its handle, meanwhile, is textured and ergonomically designed. It can keep up with most of your work in the kitchen. The knife can be washed manually or in your dishwasher. Just make sure that you dry it immediately to prolong its life. Also, it helps to know how to sharpen a knife so that you can always use it with ease. You might not give them a second thought but dish towels are important to have in the kitchen. You’ll find them reliable in drying your dishes to pulling out really hot dishes from your over. And with so many recipes to work on this Thanksgiving, it’s good to have a lot of them within easy reach. 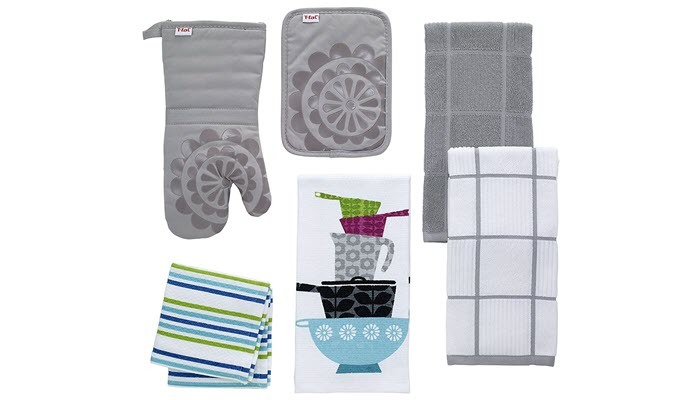 The T-Fal Textiles Kitchen Dish Towel is one of the best brands you can get this year. Since it’s made from 100% cotton, it’s highly absorbent. 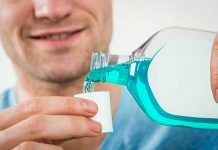 It’s easy to clean and its design can keep up even with frequent use. One of the best cooking tools you can get this Thanksgiving is a food processor. It’s a handy appliance that can make most of your shredding, slicing, and chopping tasks a lot easier and faster. 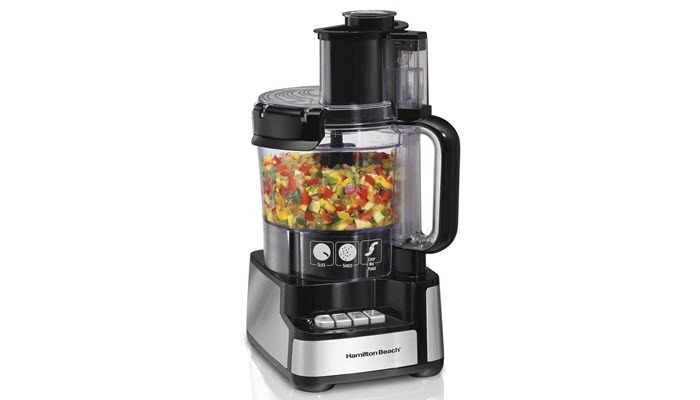 The Hamilton Beach 12-Cup Stack and Snap Food Processor makes an excellent choice on such a busy day. With a 450-watt motor and 2 speeds, it should be enough to power through most of the ingredients you’ll use. And if you’ll be working on tough ingredients, it has a Pulse feature you can use. Additionally, the food processor also comes with a large feed chute. With that, you’ll be able to spend less time pre-cutting your ingredients and more time enjoying with the rest of the family. Now, if you don’t have a lot of space in your kitchen, you can always get a mini-food processor. Of course, Thanksgiving wouldn’t be complete without the traditional roasted turkey on the table and in preparing it, you’ll need a good roasting pan. 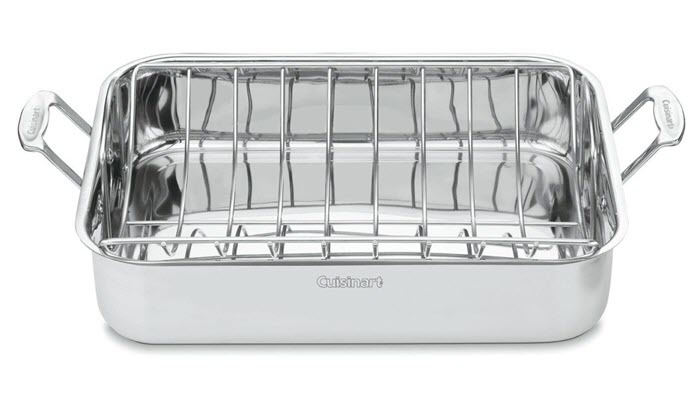 With that, we highly suggest Cuisinart 7117-16UR Chef’s Classic Stainless 16-Inch Rectangular Roaster with Rack. It’s induction ready and dishwasher safe for your convenience. Apart from that, it has riveted stainless steel handles so you can place the roaster into your oven or lift it out safely. 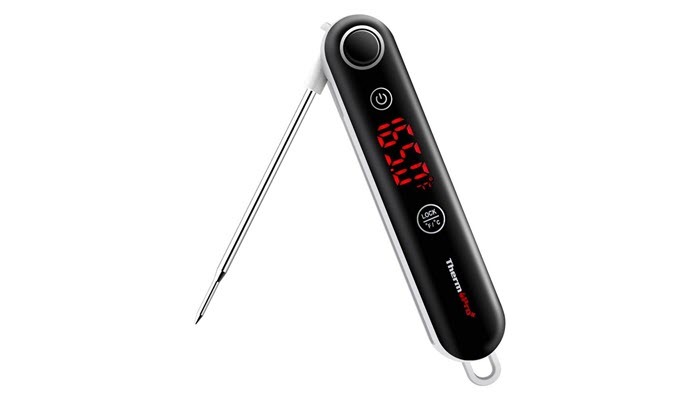 ThermoPro TP18 Digital Thermocouple Instant Read Meat Thermometer is fast and accurate which are exactly the things the best kitchen thermometer should have. Additionally, this product also has smart design features. For example, its lock function can hold the current temp when you remove the digital thermometer. It also has an auto-off feature to save its battery life. In carving your turkey, you’ll need a knife that’s long and extra sharp. 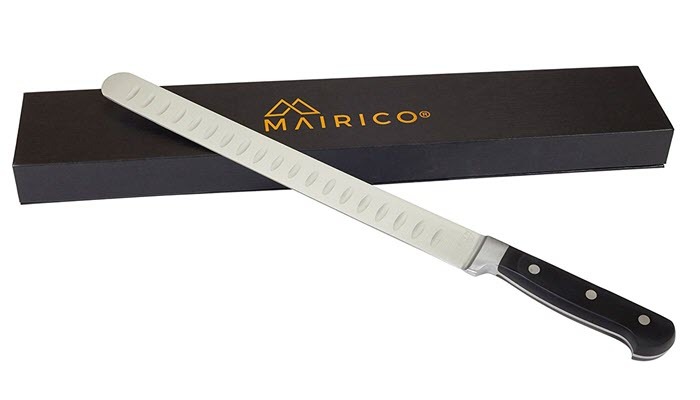 For us, that’s MAIRICO Ultra Sharp Premium 11-inch Stainless Steel Carving Knife. It has an ergonomic design which ensures a secure grip and even weight distribution when in use. It’s also versatile. You can use it in cutting different types of meat. Whether you are working on turkey, smoked salmon, pork loin or brisket, you’ll find this knife reliable. Whether it’s for pan-frying, stir-frying or searing steaks, you’ll need a 12-inch skillet in your kitchen, particularly on Thanksgiving. Our top pick for this category is the 12″ Stone Earth Frying Pan by Ozeri. It’s eco-friendly and non-stick so you won’t have to worry about getting exposed to harmful chemicals. 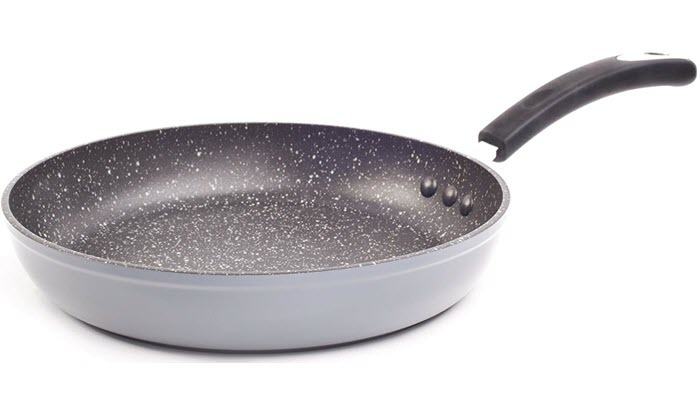 The pan has this hardened scratch-resistant coating which is really easy to clean. Its interior, meanwhile, is made of heavy-gauge die-cast aluminum which allows the pan to heat up faster. Creating the best tasting coffee at home isn’t that hard. However, if you are serving a lot of people at once, it’s best to get a coffee maker to do the job. 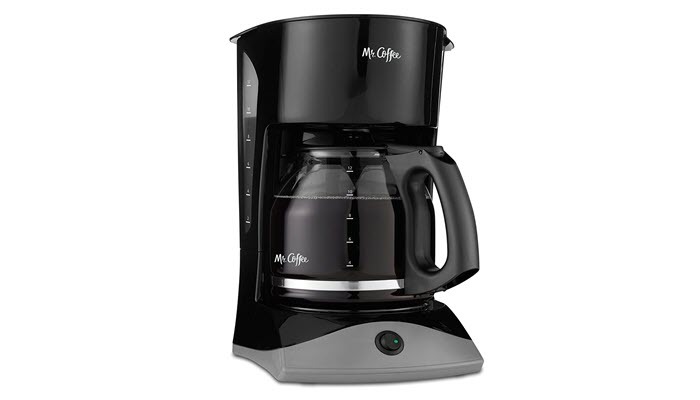 Our best choice for this category is the Mr. Coffee 12-Cup Coffee Maker in black. Despite its sleek design, this appliance is super easy to use. It even has indicator lights to help you know when your machine is on or off. Apart from that, the coffee maker also has a dual water window. With it, you’ll be able to see the machine’s water level to reduce or prevent overflowing. Take note that coffee makers can cause changes in the way your coffee tastes, particularly if they aren’t cleaned properly. With that, know more about the best tips and tricks in cleaning coffee makers. You may also want to check with the manufacturer to make sure you do no harm to the appliance while cleaning. There are so many things to be thankful for this year and there’s nothing better than celebrating that day with good food and your family. This list of the best cooking tools should be able to help you create your family’s favorite dishes without the need to spend long hours preparing and cooking the ingredients. That means you’ll have more time to interact with the rest of the family, catch up, and just have fun.